The Class Act offers both valet parking and hotel parking. Kirkwood Blvd and 76th St SW. The Class Act restaurant, located at The Kirkwood Center, features breakfast, lunch and dinner prepared by our students under the guidance of professional staff. An unmatched dining experience awaits, whether you choose to dine in a booth, in a private dining room, outside on our patio or in your hotel room. Our menu changes seasonally, ensuring the freshest quality ingredients and new and exciting choices for our guests. Along with our fully stocked lobby bar, Maikka, we are able to offer our guests a first rate experience that is a Class Act. Griddle selections served with vanilla butter and Great River Maple 100% pure maple syrup from Garnavillo, Iowa. Fresh berries may be added for no additional cost! The tables for 2 are too long, it's difficult for quiet conversation when the person on the other end is so far away! Interesting menu, though the food could have been hotter when served. Great decor and tablewware, appreciate the real tablecloth and napkins. The food was great, we will definitely visit again. Our server Bailey was amazing! Very knowledgeable, attentive, and polite. Will definitely be back. Our group enjoys meeting at the Class Act the past three months. The food is delicious, the service is awesome, and the the noise level is very conducive to conversation. Would recommend to anyone! The food was fantastic. Servers were very knowledgeable. Service was excellent. I will definitely go back. This was my first visit to The Class Act--and won't be my last. Food was outstanding! Cocktails excellent! Everything about it was at the top of my fine dining experiences! Service was perfect, the desserts were perfect specially the vanilla ice cream. This was probably our 4th visit over 3-4 years. On our first visit we would have rated all categories (previous page) 4-5 stars. However, on each subsequent visit our dining experience declined. The last straw was Sunday 07, 2019. We were a foursome and everyone was hugely disappointed. I do want to point out, however, that our service was good. I was presented with a meal I did not order that a chef dreamed up when I requested a small breast of chicken grilled served with a garlic aioli. One party ordered the hamburger well done. It arrived medium to medium rare and was sent back. Rather than replace the hamburger the meat was removed from the blood-soaked bun further cooked and bun and meat returned to the table. Two of us had the red lentil soup which was absent lentils. The body was a clear broth with a few (3-5) unsavory bits of a meat like substance. My wife had the forest omelet which was a disappointment too. Texture, taste & presentation were so so. A fruit cup (bare minimum) should have accompanied the omelet. The fourth party had the Reuben which he gladly gave half away at the end. To sum up, my wife (Linda McCarter) and I were deeply embarrassed to have taken our friends (Robert Jones and son) from Eugene, OR Oregon to The Class Act. It bears repeating the fare was far from a class act. We will not be returning. You may wish to reimburse Robert Jones for the food as he paid over our strenuous objection. The Class Act is always a good choice — food is well-prepared, service excellent due to earnestness of students studying food/hotel management. Because this is a hotel, the restaurant has open hours not always available at other area restaurants. Our entrees were excellent, especially the salmon. Our only complaint was that the butter accompanying the bread was exceptionally salty. The salmon was insanely good. Crispy skin and like butter inside. The fingerling potatoes were also perfectly cooked and seasoned. Cauliflower appetizer was a little weird though. The salmon was salty. The steak was overcooked. At least, they took the steak back and re-cooked it. As for the service, the waiter appeared to try, but more dirty dishes were left on the table than I preferred. We won't go back. We specifically chose Mill Valley Kitchen because it was recommended for those seeking organic meals. 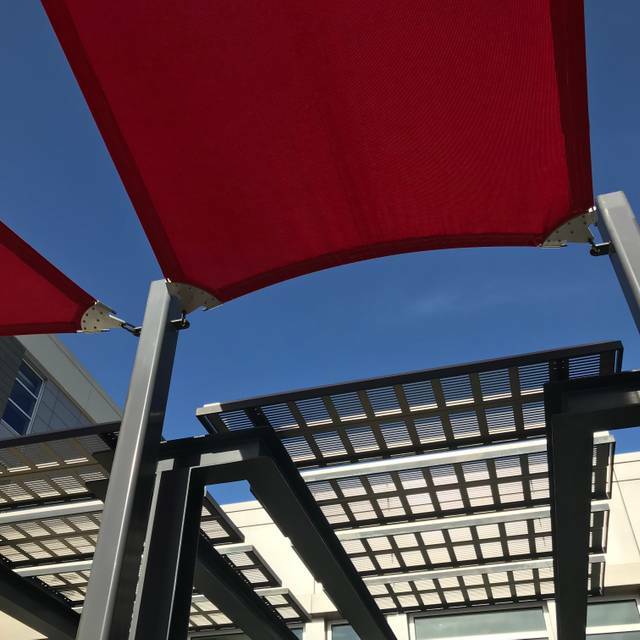 The space is tasteful and contemporary if a little generically comfortable and modern, the service was outstanding, and the food was fantastic. We both had the salmon served in a deliciously low cal cauliflower purée. Healthy and tasty - perfect guilt-free combo The menu also includes helpful nutritional guides. First, The Class Act always make us feel sooo welcome upon arrival. Food was wonderful. Service was fine, but it is a learning environment which is part of the experience. Love The Class Act. Always happy with the food and service here. One of my favorite places to eat. The peanut butter dessert was too much like a peanut butter sandwich that I could make at home. My wife's cheesecake was excellent. The entrée, salad and wine were excellent. 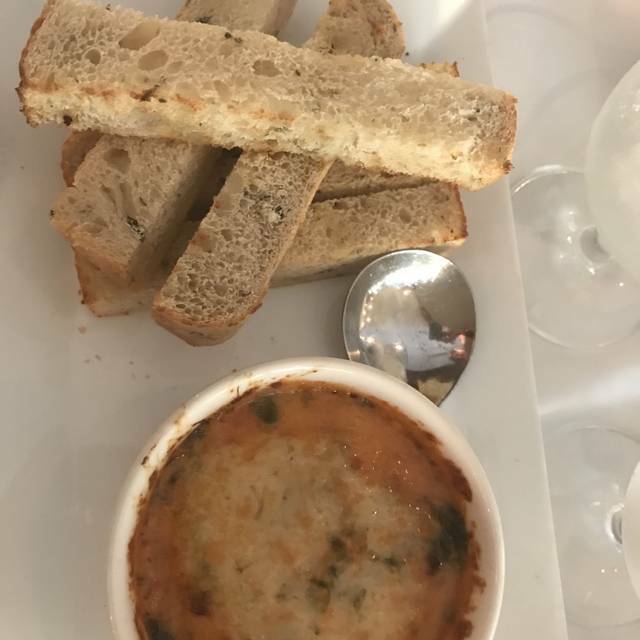 Beautiful setting, very classy, excellent and attentive service, generous portions of delicious and visually attractive entree, very reasonable price. I have lunched at The Class Act many times and could have given these comments each time - consistently strong in all review areas. Nice variety in regular lunch menu, both in entree choices and price range. Restaurant Week was just another opportunity to go there. We were celebrating a special occasion. The food was amazing. We were set up in a private room and it we just PERFECT. The staff was attentive and made the day that much more special. Best food we have ever had locally. Service was top notch. Early Valentine lunch. Great food. Wonderful presentation. Very nice service provided by “Moon”. We will go back. Waiter was non attentive, very slow to get service once seated with menus, special request were not honored. Food was not spectacular for the cost of menu items. Very nice ambiance. Don't know if I would return?? The Class Act was just that! The restaurant is beautiful, clean and the ambiance is quiet and relaxing. Our serve staff was top notch. The menu is small but mighty! I enjoyed the burger made from beef raised through the ag department at Kirkwood, which I thought was cool. My only comment was that my medium rare burger was well cooked. The fries were delicious and the burger was also so yummy - I can not really complain. Great meal. Very nice location with good service and a quiet room for our party. Wonderful atmosphere, wonderful service, wonderful food......I wouldn't change a thing!! The Food, Drinks & Service were Excellent, I would recommend. Excellent service and food. Always a treat! 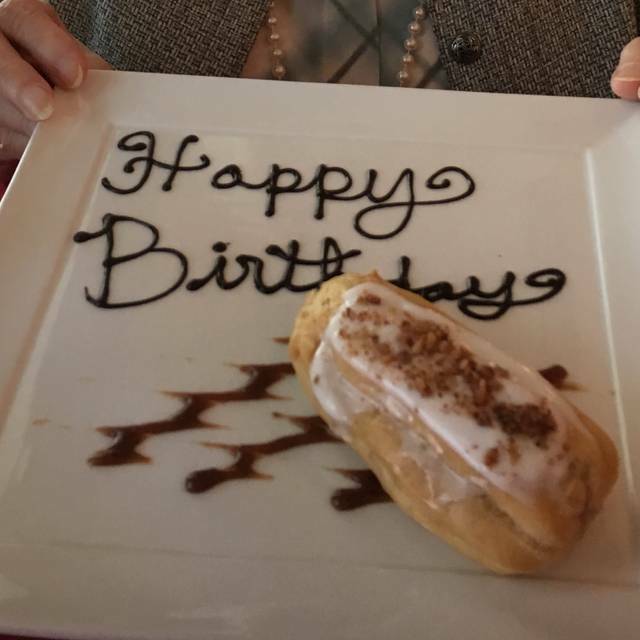 We went for my mom’s 87th birthday and had a good time. I loved Russell‘s service, the atmosphere of the restaurant and my food was very good. My mom’s short ribs were not as good. The birthday dessert that they brought out and surprised my mom with was fantastic!! Great place, great service, great food. We went here for date night and it was excellent. Close to the airport and a good place to have brunch before sending off our son to college out of state. This is a teaching restaurant, so a few minor issues as the students learn. We've been coming here for a couple of years now and the food is always good and the bar generally does a good job. This visit the bar was a little off on two drinks, perhaps too much lemon juice in the Cosmos. Otherwise it was a good visit and we'll be back in the future. We had a birthday in our group and got one free dessert. The flour-less cake was great. My lady friends and I met for a nice after Christmas get together. Nice for having conversations, beautiful interior, and great food. We made reservations for 4, but our son & his wife arrived from CA in time for lunch so we added 2 at the last minute. A table was set up for us after a short wait and it was in a quiet alcove perfect for visiting with our far-flung family. We all had something different and it was all very tasty. The restaurant was quite busy so service was slow and we had different people filling in for servers from time to time. Since we wanted time to visit, this was not a problem for us. I ordered a Rasberry Mimosa and was served a Blueberry Mimosa. Fortunately, I like all berries, but when I asked for a 2nd drink, I was served a Rasberry Mimosa, on the house, because of the first mistake. All in all, we had a great time, and the food was good. My husband and I are always on a quest to find a quiet restaurant where we can converse without shouting across the table, so we will be back. This place was amazing, the food was outstanding and the atmospheric was beautiful. We were celebrating a special occasion and it was the perfect setting. The prices were very responsible for what we had. Even though the service was a little slow and we had to ask for refills on coffee and water I would recommend this restaurant very much so. The new menu is really innovative. We tried several items, shared a few, and loved nearly everything. Service was really terrific! Thanks, Russell. We always enjoy The Class Act, but this evening was a step up. This was our first visit since David has become the head chef. We started wit the charred cauliflower which was a new taste treat. 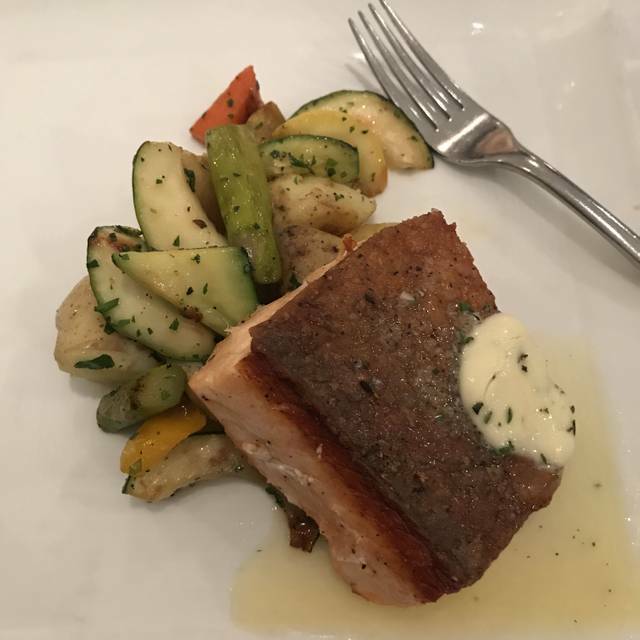 Our medium rare salmon was perfectly prepared as well as beautiful to look at. Creme brûlée for dessert - excellent. Kudos to the chef for a well thought out new menu. Next time we'll come for tapas. Josh, the bartender, was very knowledgeable and efficient. Our waiter was wonderful, too. Very attentive, but not overly so. 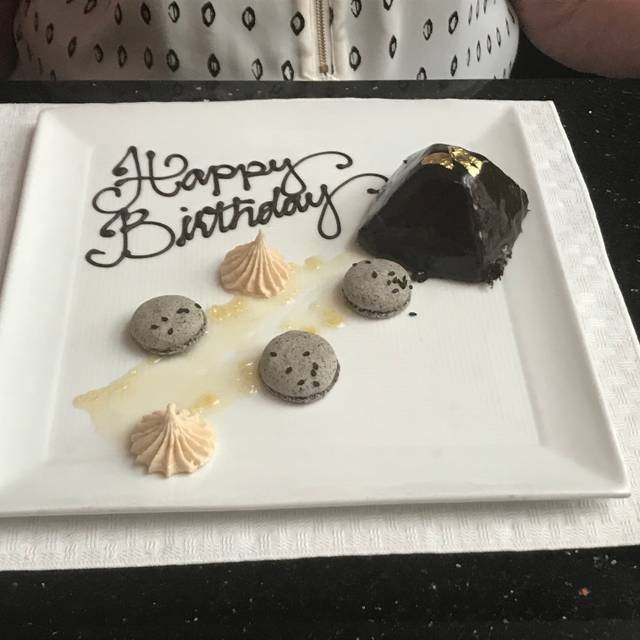 It was a great birthday diner, and a sophisticated environment that makes for a special evening out! Always a pleasant experience. The menu is varied and almost always provides something new and different. Flavor melding and presentation is excellent. The ribeye roulade may very well have been the best “steak” entree I have experienced. It was nice to go to a restaurant for a reasonably priced breakfast and know that the food was prepared with care!